Exclusive: Out of the Watergate scandal came a favorite mainstream media saying: “the cover-up is always worse than the crime.” But the MSM didn’t understand what the real crime was or why President Nixon was so desperate, as James DiEugenio explains in reviewing Ken Hughes’s Chasing Shadows. One of America’s great political mysteries continues to come into sharper focus: Did Richard Nixon sabotage President Lyndon Johnson’s Vietnam peace talks in 1968 to win that election and did Nixon’s fear of exposure lead him to create the burglary team that got caught at Watergate in 1972? Richard Nixon, the 37th President of the United States. In the ensuing years, other journalists and historians began assembling the outlines of Nixon’s peace-talk sabotage with the story getting its first big splash of attention when Seymour Hersh made reference to it in his 1983 biography of Henry Kissinger, The Price of Power. 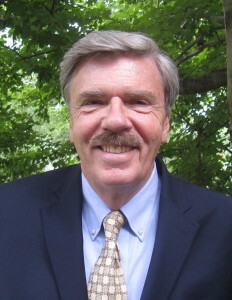 Then, in 2012, investigative reporter Robert Parry discovered that Johnson’s long-missing file on Nixon’s 1968 operation, which was later turned over to the Johnson library, helped explain another mystery: why Nixon launched his Plumbers’ operation in 1971 and thus set in motion a series of burglaries that led to the Watergate scandal in 1972. Now, journalist Ken Hughes, a resident scholar at the Miller Center at the University of Virginia, has filled out the story even more in his new book, Chasing Shadows: The Nixon Tapes, the Chennault Affair and the Origins of Watergate. Despite all the carnage, Johnson finally concluded that a military victory in Vietnam was illusory. He therefore announced a limited bombing halt over 90 percent of North Vietnam and promised a complete bombing halt if the North Vietnamese would show some reciprocal restraint. Though many Vietnam War critics were dubious about Johnson’s peace initiative, the historical record is now clear that Johnson was sincere about his plan. He wanted peace talks to begin as soon as possible. He was seeking a U.S. exit strategy. Russell said the problem was how to get out of Vietnam without looking weak, a dilemma that Johnson a classic Cold Warrior who believed in the Domino Theory could not overcome. But the war’s futility and its political damage had become apparent to Johnson by the time of the Viet Cong’s Tet Offensive in January-February 1968, leading to his decision to withdraw from the presidential race and his plan to end the war. Johnson also sought to be fair to the major candidates running to replace him: Vice President Hubert Humphrey, former Vice President Richard Nixon and independent candidate, Gov. George Wallace of Alabama. Johnson promised to keep them equally informed of developments in the peace process. And, Hughes writes, that as far as the declassified record reveals, Johnson kept that promise. But the political problem from Johnson’s peace initiative soon grew acute for Nixon, who remained bitter about his narrow loss to John Kennedy in 1960. During the late summer of 1968, Nixon had a big lead over Humphrey, swelling to about 15 points after the disastrous Democratic convention in Chicago. But Nixon recognized that the Democrats were likely to unify especially if the anti-war faction thought that Johnson was making progress on a peace deal. Humphrey also began reaching out to disaffected Democrats with increasingly clear overtures on resolving the war. If Johnson could deliver on a full bombing halt and the start of a U.S. withdrawal, Nixon might again be denied his dream of the presidency. Whatever one thinks of Richard Nixon, the man had the (deserved) reputation of a consummate infighter in the political arena. This went back to his smearing of Congressman Jerry Voorhis in 1946, his 1948-50 destruction of State Department diplomat Alger Hiss from Nixon’s seat on the House Committee on Un-American Activities, and his tarring of senatorial candidate Helen Gahaghan Douglas in 1950. In fact, on now-declassified Nixon tapes that Hughes cited, Nixon admits that he unethically had access to grand jury proceedings against Hiss, and he used them to convict Hiss in the press before trial. Thus, Nixon might have viewed Johnson’s peace initiative as just one more political obstacle to overcome. And Nixon had in his campaign apparatus people like China Lobby figure Anna Chennault who could sink Johnson’s negotiations by getting the South Vietnamese government to stay away from the Paris talks. Anna Chennault was the widow of legendary Flying Tigers pilot Claire Chennault, who was 32 years her senior when they were married in 1947. The Chennaults were part of the China Lobby, the campaign that smeared President Harry Truman and the Democrats for “losing China” to the communists in 1949. The Chennaults also suffered financially with the fall of China since they were planning on running the CIA-related airline Civil Air Transport under Chiang Kai-shek, but the operation was forced to move to Taiwan. The Chennaults and the China Lobby were quite effective in portraying the Democrats as being soft on communism in the 1952 election. Chennault died in 1958 but his widow remained active in Republican politics and in Washington’s social life. She rented a suite at the Watergate Hotel and became a founder of the Flying Tiger Line, a freight loading operation. Because of her political effectiveness, her wealth and her status as a woman ethnic, Anna Chennault became involved in the 1968 Nixon campaign under campaign chief John Mitchell. She was co-chair of the Women’s Advisory Committee and raised over $250,000 for Nixon, the top sum by a female fundraiser. By early July 1968, Anna Chennault was already in contact with Bui Diem, the South Vietnamese ambassador to the United States, about her work for the Nixon camp, according to a memo by Nixon’s foreign policy adviser Richard Allen, cited by Hughes. As the back-channel between the Nixon campaign and the South Vietnamese government, Chennault passed a series of messages to Bui Diem, President Thieu and other senior officials in Saigon essentially promising them a better deal if Nixon won. Chennault told Thieu through Diem that Johnson’s peace talks were simply a ploy to get Humphrey elected president and that Humphrey opposed the Americanization of the war. Chennault indicated that Nixon favored more direct American intervention, an appealing message to convey to Thieu because without U.S. support, Thieu’s regime could not last long against the Viet Cong and the North Vietnamese. While Nixon was putting in motion his plan to disrupt the peace talks, Johnson continued to brief all three candidates. On July 26, Johnson told them that he was pushing to have a four-point negotiation at the table, involving the U.S., North Vietnam, Thieu’s government and the National Liberation Front (NLF), the political arm of the Viet Cong. Nixon assured Johnson that he was in full support of the peace initiative and that the President’s emissaries in Paris should be able to speak with the confidence and authority of the U.S. government. Nixon said nothing should be done in the political arena that might undermine the effort. Later, Humphrey went even further, saying he would stop the bombing for good in return for good-faith negotiations from the North. Though Humphrey’s public peace talk annoyed Johnson, it helped the Vice President cut into Nixon’s once-formidable lead what had been a 15-point margin shrank to 8 points. The stakes for Nixon were raised. When Eugene Rostow’s information was passed to Johnson by his national security aide Walt Rostow (Eugene’s brother), Johnson had just learned that South Vietnamese President Thieu had decided not to send a delegation to Paris to negotiate. Johnson also had a second source who revealed that Mitchell, Nixon’s campaign manager, was working to frustrate Johnson’s attempt at peace talks and a truce. Mitchell had been heard to say words to the effect that they would foul up these peace talks as they had frustrated Johnson’s attempt to make Abe Fortas the Chief Justice of the Supreme Court. Johnson revealed this information to his friend Sen. Russell in a phone conversation. Johnson said he had ways to confirm whether or not the rumors were true. What he meant was that he could use the surveillance powers of the FBI, CIA and NSA to monitor certain communications necessary to carry out the subversion of the peace process. Johnson did just that. The NSA placed a bug inside Ambassador Bui Diem’s office in Washington, and the CIA did the same in the office of President Thieu in Saigon. Even though Hughes writes that these partially declassified cables are still heavily redacted, it’s clear from them that Johnson told Russell that Anna Chennault was in contact with Bui Diem. LBJ was convinced she was the go-between from the Nixon camp to the South Vietnamese representatives. NSA intercepts revealed that Ambassador Bui Diem told Thieu that the longer the situation dragged out the more it would favor the Republicans and South Vietnam. Bui Diem added that he was in direct contact with the Nixon entourage, which meant, of course, Chennault. In fact, the FBI knew that Chennault had visited Bui Diem at the embassy on Oct. 30 for 30 minutes. Besides the wiretap, Johnson ordered the FBI to report on anyone entering or leaving the embassy and to tail Chennault. He also wanted her phone tapped at the Watergate, but the FBI didn’t go that far. Hughes writes that Johnson never told Humphrey specifically about what Chennault was doing. He only mentioned some interference from the “China Lobby” and “Nixon’s entourage.” Nor did Johnson show Humphrey the intelligence cables he had from the FBI, NSA, and CIA. Thieu followed up by telling the South Vietnamese legislature that he would boycott the negotiations. At the same time, Nixon announced that he had been assured that the peace talks would begin. The combination of the two public announcements made Johnson look like either a con man or someone who had lost control of his own negotiations (which he had). On Sunday, Nov. 3, Johnson asked Nixon about his knowledge of the Republican interference, and Nixon told Johnson that he was fully behind the President’s efforts to bring the war to an end as quickly as possible. Nixon would lie about his role in the sabotage to the end. There was one last twist to the story, playing out the day before the election. The Christian Science Monitor’s Saigon correspondent Beverly Deepe filed a story based on her local sources describing the Republican gambit to prevent the peace talks. In Washington, the Monitor’s Saville Davis ran Deepe’s information past Bui Diem, who denied it, and then past the White House. President Johnson considered confirming the story but consulted with several of his top advisers national security adviser Walt Rostow, Secretary of State Dean Rusk and Defense Secretary Clark Clifford who all urged him to stay silent. Clifford warned that if the story was published and Nixon still won, Nixon might be unable to lead the country. With the White House declining comment, the Monitor decided not to go with Deepe’s scoop. Humphrey ended up losing the election by less than one point in the popular vote, leaving history to ponder the painful question of whether the disclosure of Nixon’s operation might have cost him the election and brought the war to an end years earlier saving countless lives. But there was another reason to expose Nixon’s covert operation. Hughes concurs with journalist Robert Parry’s revelations two years ago that it was probably Nixon’s awareness of Johnson’s knowledge about the sabotage that inspired the formation of the Plumbers and set the stage for the Watergate scandal which destroyed Nixon’s presidency. After Nixon won the election in 1968, FBI Director Hoover flew to New York for a private conference with Nixon and his chief of staff H. R. Haldeman. During the meeting, Hoover revealed the bugging operation ordered by Johnson over the Chennault affair. But the Director exaggerated its extent, claiming that the FBI had bugged Nixon’s campaign plane, which was not true. Hoover also said the FBI had wiretapped Chennault’s phone at her home, which Johnson had sought but which was not done. There could have been a reason for Hoover’s falsehoods. By claiming that Nixon’s plane had been bugged, Hoover may have wanted Nixon to believe that he himself had been caught on tape directly implicated in the sabotage scheme. That could have led Nixon to think that Hoover had something politically lethal on him. By hyping the story, Hoover also undercut one of his younger FBI rivals, Cartha “Deke” DeLoach, by telling Nixon that some of the bugging had been DeLoach’s idea. What Nixon didn’t know was that Johnson removed the Chennault file when he left office in January 1969 and entrusted the top-secret information to Walt Rostow, rather than ship it to the Johnson presidential library in Austin, Texas. The missing file and the paranoia instilled in Nixon by Hoover’s exaggerated account had huge consequences for history. When Nixon took office he assigned Haldeman to find the Chennault file, a task that was passed on to Thomas Charles Huston, who later became famous for the Huston Plan proposing more domestic surveillance of leftist anti-war groups. Huston’s recommendations went too far even for Hoover. But Huston’s work on national security issues made him a natural for Haldeman’s assignment to locate the Chennault file. But as yet, Nixon lacked his own team for conducting illegal break-ins. So, the issue of the missing Chennault material was pushed to the proverbial back burner. But an historic event in 1971 returned this concern to the center of Nixon’s paranoid mind. On June 13, 1971, the New York Times started publishing the Pentagon Papers, a secret study of the Vietnam War commissioned by former Defense Secretary Robert McNamara tracing the conflict from its beginning to 1967. The American public was suddenly riveted by disclosures about how various presidents, mostly Democrats, had deceived the country about the Vietnam War. From here in the book, Hughes draws a portrait of a man who is a victim of his own past and his own prejudices. Nixon begins to compare those who leaked the Pentagon Papers with the communist conspiracy he railed about back in his HUAC days. Feeling under pressure regarding leaks or potential leaks Nixon starts scheming about leaking negative information about former Democratic icons. He wanted to get the goods on Franklin Roosevelt’s prior knowledge about the Japanese attack on Pearl Harbor. Nixon wanted files on President Kennedy because he thought there might be some dirt about the Bay of Pigs fiasco or the Cuban Missile Crisis. In effect, Nixon wanted a dual-track program: 1.) He wanted to break into private institutions to save himself from potential political damage from the Chennault affair, and 2.) He wanted to disclose damaging classified materials on the Democrats, possibly to muddy the waters just in case his 1968 peace talk sabotage was exposed. Nixon soon brought onboard Hunt to oversee the creation of a Special Investigations Unit, better known as the Plumbers. The unit would be governed from above by Nixon, Haldeman, and White House aide John Ehrlichman, but it would have support from the FBI and the CIA. At this point, with the Plumbers formed and their target list forming, Hughes reveals another Nixon pathology: his hatred of the Harvard People. Nixon did not come from a privileged background and did not get into an Ivy League college. He seemed to resent those who did, like Hiss, Kennedy and Roosevelt. In a conversation with White House counsel Chuck Colson about the Treasury Department, Nixon said: “Well. Listen are they all Jews over there?” Colson replied, “Every one of them. Well, a couple of exceptions.” This conversation concludes with Nixon saying that they have to find a man who is not Jewish to control the Jews in the administration. Haldeman later wrote that he understood the dark pathology of Nixon’s mind and would not follow through on some of his wilder demands. The problem, as Haldeman saw it, was that Colson would. Colson and Nixon would then do things that Haldeman would not know about until afterwards. In other words, Colson enabled the worst in Nixon. Acting on Nixon’s worst impulses, Colson and G. Gordon Liddy, a leader of the Plumbers, thought up a wild scheme to burglarize Brookings in pursuit of the missing file. They would first firebomb the building. Then, after the fire engines were called in, a burglary team would take advantage of the confusion and bust open the safe. But after John Caulfield and Anthony Ulasewicz, veteran detectives working for Nixon, heard about the scheme, they counseled against it and Ehrlichman canceled the operation. As Hughes notes, Ehrlichman then lied under oath about Nixon’s approval of the project, which was the only burglary that Nixon clearly authorized on tape. Still, the Plumbers continued to undertake other illegal break-ins, including rifling files and planting bugs inside the Watergate offices of the Democratic National Committee in late May 1972. When five burglars returned on June 17, 1972, to do more espionage, they were caught by Washington D.C. police, setting in motion the Watergate scandal. That, in turn, created a constitutional crisis as Nixon refused to surrender his White House tapes to investigators. On July 24, 1974, when the U.S. Supreme Court ordered Nixon to surrender the tapes, it spelled the doom for Nixon’s presidency by corroborating allegations from ex-White House counsel John Dean and others that Nixon had overseen a criminal cover-up of the Watergate break-in. 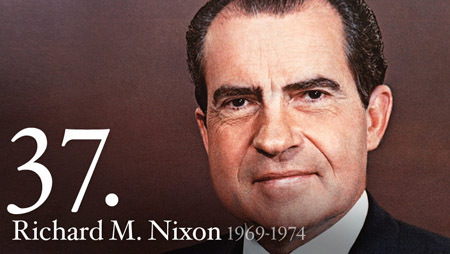 Nixon resigned on Aug. 9, 1974. However, Nixon’s sabotage of Johnson’s peace talks although it may have extended the war for four years and caused the deaths of some 20,000 U.S. soldiers and a million Vietnamese never received the attention that the Watergate cover-up did. Nor has Official Washington ever come to grips with the new evidence suggesting that the two scandals were actually one. Hughes ends the book deftly. In the David Frost interviews with Nixon in 1977, Frost asked him about the Chennault affair. Nixon replied that he did nothing to undercut Johnson’s attempts at negotiations. About Chennault’s interference, he said that he did not authorize these attempts at subterfuge. Building on the investigative work of Robert Parry and other researchers, Ken Hughes has written a well-documented, incisive and hard-hitting book. He takes us up close to a man who never should have been president and who appears to have gotten into the White House through an act approaching treason. Nixon then lied about the crime for the rest of his life. James DiEugenio is a researcher and writer on the assassination of President John F. Kennedy and other mysteries of that era. His most recent book is Reclaiming Parkland. The Plumbers operation was not launched by Richard Nixon in 1971. It was launched by Alexander Haig in 1969. A steady stream of National Security Secrets had been showing up in American newspapers. Responding to the leaks on May 10, 1969, Alexander Haig, assuming the authority of the White House, paid a visit to FBI Assistant Director William Sullivan. During that visit, Haig, who was then Henry Kissinger’s military assistant at the National Security Council, convinced Sullivan to initiate a series of wiretaps on NSC insiders for the purpose of identifying the leakers. Haig’s request also called for “trailing and surveillance and other investigations to accompany the overall assessment of a man’s reliability.” This is the one and only foundation of the Plumbers operation. It was a Haig/NSC operation from day one. Back in 1963, Alexander Haig, who then worked out of the Pentagon as a military assistant to Army Secretary Cyrus Vance, was put in charge of the CIA’s Cuban Brigade (the Bay of Pigs Veterans). Under Presidents Eisenhower and Kennedy, the Cuban Brigade, in large part, had been recruited by CIA officer Howard Hunt. Therefore, when Haig was put in charge of the Cuban Brigade in 1963, he was put in charge of Hunt, who had been responsible for recruiting the Brigade in the first place. The Haig-Hunt relationship is the key to understanding Watergate. As noted above, the Plumbers operation was a Haig operation from day one. Hunt and the Watergate burglars were Haig’s people. When investigators linked Hunt to the burglary, the sh*t hit the fan. A cover-up was initiated to conceal the operational ties between Haig, Hunt, and the CIA. In that pursuit, “national security” insiders did everything they could to make the Watergate burglary look like a political (CREEP) operation as opposed to a “national security” (NSC/CIA) operation. In February 1963, Joe Califano, then a top aide to Army Secretary Cyrus Vance, hired Alexander Haig to covertly train the CIA’s Cuban Brigade “to participate with U.S. troops in any future action against Castro.” So, when police investigators linked Howard Hunt to the Watergate burglars, Califano certainly recognized the name. Califano knew that Hunt and some or all of the Watergate burglars had worked for him in 1963 on covert actions targeting Cuba. Those were his guys. But that’s not what he told the Washington Post. To provide cover for Haig, Califano steered all of the attention towards CREEP. For more, please read Sins of the Vicar: How Alexander Haig Murdered John F. Kennedy by Tegan Mathis. That’s me. I have two books. My first book, Against Them, is much longer and extremely unconventional. I never wanted to write a book, but I found something and decided I had to write about it. My second book, Sins of the Vicar, is probably as conventional and straight forward as a JFK book can be. It helped me understand my first book. I guess I should fine something wrong with it,but your references are right there. You are welcome. As I said I just read a little of your book, and I will continue until I finish. The other day an old friend of mine who is a retired Navy Seal and I were talking about how quick an operation can turn into “this is not a drill”. I’m not talking about defensive either. I am talking about when “it’s time”. Each time that may occur you can be sure there is a Haig or someone like Haig implementing the plan…poor us! Excuse me, I have a book to read. 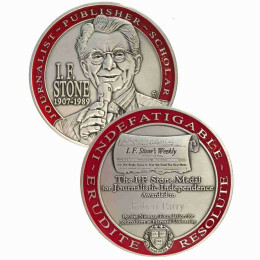 Sanford and Tedesky – I have come to look forward to your comments – like icing on the cake. You make an interesting article altogether more understandable by clarifying background details that help readers like myself to arrive at a much better and clearer picture… please keep up your effort, and thanks. In 1966 when Carroll Quigley’s book “Tragedy & Hope” was released it sold somewhere around 8,000 copies before Macmillan Publishing had to destroy the printing plates. Professor Quigley’s 1300 word book was way to revealing in regard to the Council on Foreign Relations back room dealing. Now, his book can be purchased. So that finally we may learn who was behind many, many developments that took place close to 100 years ago….give or take 25 years either way. Most of the decision makers of that era were not the same names you would have read in the news papers back then, but Quigley wasn’t talking about the front people. If I were to teach modern American history I would dwell on the assassination era of the sixties. 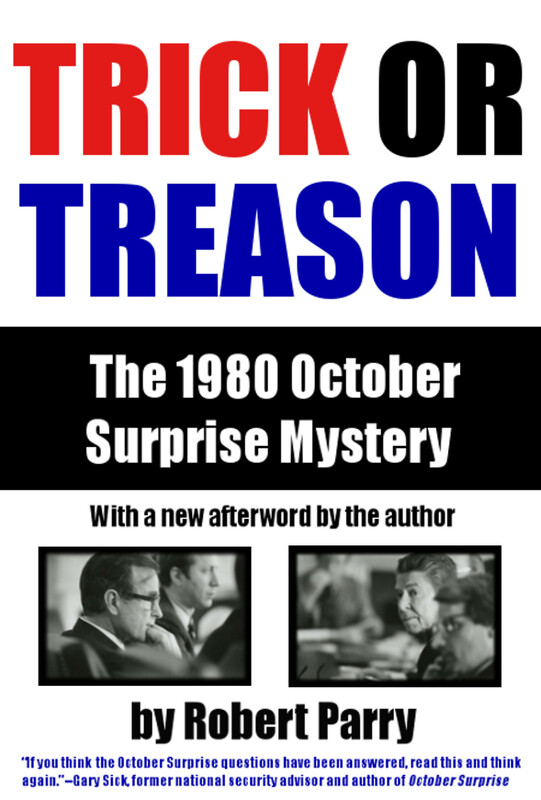 I believe the reason LBJ didn’t pursue Nixon’s treason is due to the fact that Johnson knew Nixon knew all to much about Dallas. Previously the US had pivotal moments that changed our country, but this period in the sixties was the true real game changer. We are living out now the reality of what occurred back then. If as a country we stand any chance of turning things around for the better we will need to know the real truth of what happen back in those fateful days. We need another Carroll Quigley, and we need that truth teller ASAP! Joe, my comment is “awaiting moderation”, but if they approve it, my point is this: The President’s former opponent, John McCain, has been going around the world hobnobbing with ISIS terrorists and Svoboda Nazis, and although he could be prosecuted under the Logan Act, he’s walking around scot-free. What we’re seeing is the implementation of the foreign policy Mitt Romney ran on, but nobody is curious enough to ask, “Who’s in charge”? I haven’t read Quigley, but some have expressed concern that the new edition may have been significantly redacted prior to release. F.G. You and I are old enough, and experienced enough to know that there are rules for us, and then there are rules for them. Maybe, better well put, there are no rules for them. They always escape their fate under national security purposes. You, and I not so much. I agree, what McCain is doing constantly is just flat out wrong. I always have a hard time with the big picture, but Hanoi Johnny is in my opinion a treasonous traitor. He does not represent the American people, he represents the MIC Neocon establishment. Yes, I purchased Tragedy & Hope on line. I watched a five hour video of John Taylor Gatto on youtube. Mr Gatto had the same concerns about the re-release. He suggested how he would like to hire some readers to do a mirror to mirror with his original copy he obtained years ago. Although, as Rumsfeld pointed out ‘you go with what you got’. So far the 1300 book is enlightening. Quigley goes on and on at times setting things up into very fine detail, until suddenly he starts name dropping and ratting out the truth like you would not believe. Especially you F.G. should read this book. I would love to hear your comments in regard to what Professor Quigley had to reveal. I guess it was Mark Twain who said, “History doesn’t repeat itself, but it rhymes”. Harking back to the debates, some of us may recall what, at the time, seemed a totally ‘off the wall’ foreign policy issue floated by Mitt Romney: Russia is Enemy#1. Back when John McCain had the prudent good sense to select that intellectual giant, Sarah Palin, as his running mate, she too demonstrated a firm grasp of things to come. Noting that she could practically throw a moose muffin across the Bering Straight, she emphasized her proximity to Vladimir Putin’s Russia as part of her foreign policy curriculum vitae. Fast forward (and backward) to historic parallels, and we find not just Anna Chennault but John McCain hobnobbing with the sewer rats of foreign intrigue, whether it’s Oleh Tyahnybok, the Nazi Svoboda party leader as photographed in February, or Ibrahim al-Badri AKA Al-Baghdadi AKA Caliph Ibrahim, leader of ISIL/ISIS/IS as photographed in April, 2013. The difference between McCain and Chennault would seem to be minimal except for one extremely minor difference: Anna was keeping it on the low, while John has been flaunting it. In both cases, if we assume that our government is committed to the “rule of law”, both these emissaries of skulduggery are ripe candidates for prosecution under the Logan Act. Unless, of course, McCain is actually a bona fide representative with a portfolio on behalf of the U.S. Government to cavort with known terrorists and Nazi provocateurs. If Johnson was remiss in his duty to prosecute Nixon for a flagrant act of treason, where does that put the current administration? Are we just lax in our duties hereâ€¦or are we looking at willing co-conspirators? I mean, come on America, John McCain just happens to be the common denominator in the two biggest foreign policy disasters in recent memoryâ€¦and nobody raises an eyebrow? Click the links, scroll down, and feast your eyes on our latest “allies”. I’m with you when will anyone enforce the Logan Act on McCain, and congratulations F.G. on getting your comment here approved. You do realize that instead of interfering with what ever it is McCain is doing, their are those of his dreaming of the well lid streets that will be named after him, along with his statues that will be erected in government buildings in praise of his gift to the American Dream, but don’t look for any prosecution of any broken foreign spy law being enforced here. Silly us to comprehend and take serious any written law out there on the books. In fact remember the US Constitution? These Neocon types deep down don’t believe in the Constitution. They believe the Constitution is not today’s reality. Since the PNACer’s replaced the Constitution with such things as the Patriot Act we are now safer. Right? Now, we should all just stop being so critical, and let these ChickenHawks get their job done. Also leave John McCain a lone, after all he is a senior statesman just having fun…leave him a lone! Oh I forgot to post this…McCain with Ambassador Stevens in Bengazi in 2011 recruiting Al-Qaeda.